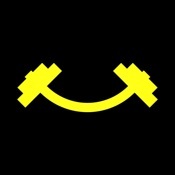 [prMac.com] Juana Diaz, Puerto Rico - Independent developer, Jaime Torres is proud to announce the release of Smile Exercise 1.0 for iPhone, iPad, and iPod touch devices, an app to workout your smiles. Smile Exercise offers anyone the opportunity to finish 3 smiling trainings where the users are required to smile to complete them. There are 3 trainings available, which consists of doing a smile training of 5, 10 or 20 smiles. The user selects one of the trainings available depending on the quantity of smiles they feel like doing at the moment. Once a training is selected, the app will use the front camera and will take photos of the user when it detects that the user is smiling. There are instructions that tell the user to smile or stop smiling. When the training session is completed an animation of all the photos taken is presented along with an option to share the photos animation as a GIF. "I read in an article that the average smiles of an adult is 20 smiles per day," explained Jaime Torres, developer of Smile Exercise. "I hope this app help increase that number." Smile Exercise 1.0 is only $0.99 USD (or an equivalent amount in other currencies) and is available worldwide exclusively through the App Store in the Health and Fitness category. For more information, please contact Jaime Torres. Jaime Torres is an independent developer that develops apps for the fun of it. All Material and Software (C) 2017 Jaime Torres. All Rights Reserved. Apple, the Apple logo, iPhone, iPod and iPad are registered trademarks of Apple Inc. in the U.S. and/or other countries. Other trademarks and registered trademarks may be the property of their respective owners.